1. La Prairie Cellular Swiss Ice Crystal Serum - I already adore the oil from this line, so the new serum really appeals to me. In addition to helping with anti-aging concerns, it also helps "relieve signs of fatigue, dullness and dryness". 2. La Prairie Cellular Swiss UV Protection Veil SPF 50 - Now that I live in a warmer climate, I am interested in using a higher level SPF. This particular SPF has a complex that helps to repair past sun damage which is an added bonus. 3. Retrouve Luminous Cleansing Elixir - I think it's the name that pulled me in for this new cleanser - a luminous cleansing elixir?! Yes please! 4. Origins Maskimizer - Ok, let's talk about this product. I first heard about it a month ago and thought "Ok, now I have heard everything? A primer for a mask?!!" But then I realized that it's similar to when I apply a hydrating mist before the rest of my treatments and masks, so I understood it a bit more. And I love the added hydration boost I get from a hydrating mist, so this has now made it on my list of skincare products I want to try. 5. Estee Lauder Micro Essence Skin Activating Treatment Lotion - I love a good multi-step skincare routine, and I discovered essences about 1.5 years ago and have enjoyed adding them in ever since. I typically use an essence after my toning step but before I apply any treatments. I have heard amazing reviews of this one from Estee Lauder and the claims of brightening and increased hydration are pretty much guarantees that I will want to try the product. 6. Fresh Rose Deep Hydration Face Cream - Keeping my skin hydrated is even more important to me than using the strongest active ingredients. When my skin is full of moisture it looks its best. This new Fresh face cream seems like something I would love using. 7. SK-II Facial Treatment Oil - I am already a devotee of the SK-II Facial Treatment Essence and the Facial Treatment Masks, so a new facial oil in the range? Yes, please. 8. Chanel Hydra Beauty Flash - Ok, I hope you are sitting down for this next statement. I have never tried any Chanel skincare. Are you still there? I know - it's shocking but true. I always go to them for makeup, but this Hydra Beauty Flash sounds like something that may finally have me break into the skincare. It's a perfecting balm/moisturizer that helps to minimize and smooth out imperfections while hydrating the skin. It sounds like the perfect product for under makeup. 9. Estee Lauder Advanced Night Micro Cleansing Balm - Let's just be honest, if a new cleansing balm launches, I want to try it. It's as simple as that. 10. Kate Somerville Goat Milk Eye Balm - Yes to all things Kate Somerville. And YASSS to all things Kate Somerville Goat Milk. I adore the Goat Milk moisturizer, so a new cooling Eye Balm that helps to de-puff and moisturize is an immediate yes for me. 11. Kate Somerville Goat Milk Cleanser - As if the Eye Balm launch wasn't enough to get me excited, now there is a Goat Milk Cleanser?!!! There has not been a thick and creamy cleanser from Kate Somerville's range before this and I am ecstatic to finally see one being introduced. 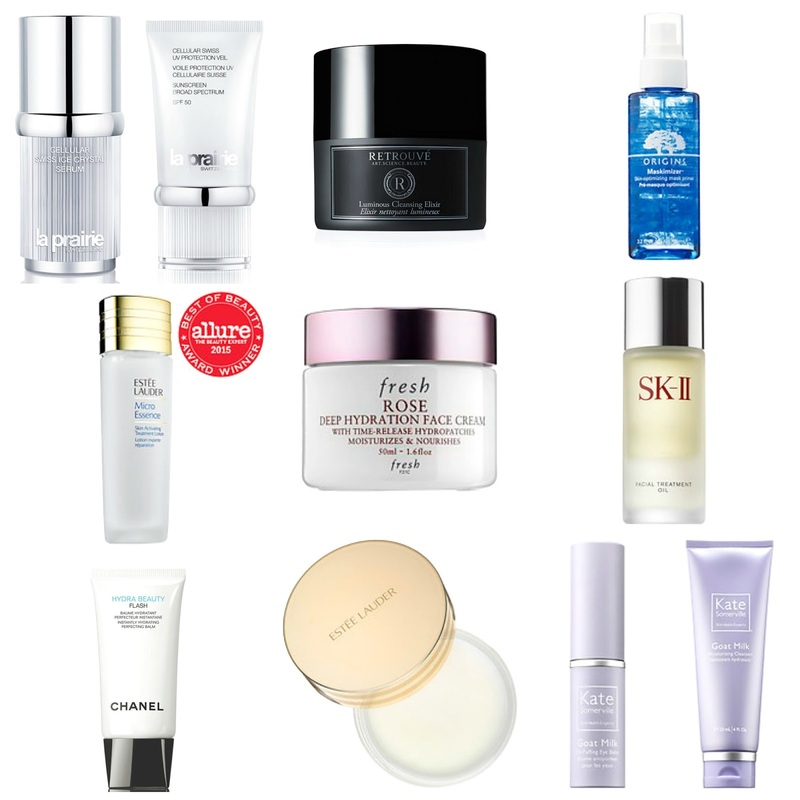 What new skincare products are you interested in trying or have tried recently? Leave me a comment below! If you've not tried any Chanel skincare, you should give the Hydra Beauty Micro Serum a go. It's absolutely beautiful. Now I've not ever purchased a full size, but I have a friend at a Chanel counter who keeps me stocked with the little sample tubes. I picked up the KS goat milk cleanser in the VIB- can't wait for it to arrive! Oh that cleansing balm from Estee Lauder sounds lovely, and the packaging is just <3 I haven't tried Chanel skincare either until very recently, and it was only because I got a sample when I purchased makeup. Can't remember what it was I tried, but I've heard generally good reviews for their products. The Goat Milk cleanser is more like a balm! I think you'll love it. It has a really soft milky smell.